The Easy Plus range is used in award-winning restaurants, meeting the most exacting standards in every respect: design, quality, reliability and price. Easy Plus glasses are long stemmed, elegant and have a functional design, thin walls and brilliant clarity. The WMF Easy Plus collection provides glasses for every occasion. Because of their timeless design the range of glasses fits in both modern and traditional settings. The different glasses are perfect for putting together an individual set, but they are also an ideal supplement for an existing collection. Wine lovers in particular will appreciate the Easy Plus collection because it offers glasses designed for four different types of wine. Made of high-quality crystal glass, the Easy Plus collection is easy to care for and dishwasher safe.  WMF provide a two-year guarantee on clouding and breakage.